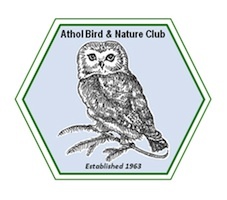 The Athol Bird and Nature Club has launched a new website with the more intuitive address of atholbirdclub.org. Not only the address is new, however. Users will also find an ever-changing slide show of some of the best nature photography in the area, an easy-to-use calendar, and access to extensive archives that attest to how much the club has accomplished over the years. The website also continues to provide links to some of the club’s partners, notably the Millers River Watershed Council and the North Quabbin Garden Club, and to the club’s Facebook presence, as well as allowing visitors to join or renew online or via printable forms. The upgrade to the website comes as part of the celebration of the club’s 50th birthday, which will culminate on September 21 with a grand get-together – save the date! The Athol Bird and Nature Club was founded in 1963 by Robert Coyle, a science teacher in the Athol Public Schools. The club’s original mission, to enhance the appreciation of natural history in north central Massachusetts, remains at the core of its work today as it continues to offer a full calendar of nature walks, trips, and meetings that are free and open to the public. In addition, the club hosts intensive workshops and institutes on specific natural history topics, and organizes regional biological inventories, including biodiversity surveys, bird counts, and butterfly and dragonfly records. The ABNC also manages the Millers River Environmental Center and its extensive natural history collection that began as part of Coyle’s teaching materials. The Center hosts meetings of numerous local organizations and quite recently has partnered with Wachusett Community College to offer classes. The work on the website was mostly donated by Gwen Pearson, a social media and website consultant who runs Get Your Nature Geek On, a company that specializes in helping nature centers and scientists get online and spread their science. Pearson also serves as network coordinator for the Organization of Biological Field Stations. By training, Pearson has a PhD in entomology and has worked with ABNC president David Small on various moth projects. “I am indeed one bad moth-er,” says Pearson. Area residents are invited to visit the Athol Bird and Nature Club online to participate in any of its many offerings, and to join other members in fun and rewarding explorations of nature.